Transform your life? Sounds scary, but it really doesn't have to be. Making small changes to your daily life will create habit changes resulting in slow, manageable changes. Add that to small steps outside of your comfort zone and you will have a truly transformed life. Changing your perspective of yourself and the world around you can be truly amazing. 1. Give back. 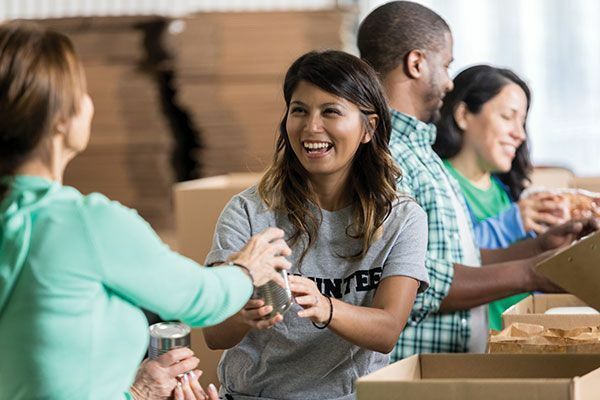 There are many ways to give back. You can give your time, your money or your energy. There are so many people out there who could use a little extra help that you are capable of giving. Donate to your favorite causes, volunteer your time to a local non-profit, say hello to a stranger. Being nice costs absolutely nothing and can completely change someone's day. 2. Wake up earlier. Does anyone like being rushed out the door? What if you have ten extra minutes to simply breathe in the morning? You could enjoy a cup of coffee. Read a news article. Make a lovely breakfast and truly enjoy it. Starting your day off relaxed and prepared sets you up for a great day. This blog post has great tips for transforming your morning routine. 3. Explore. Whether it's your own city, your country or the world. Open your eyes a little wider and explore this amazing world around you. Where do you want to go? What do you want to see? Experiences are waiting for you. 4. Get creative. Exercise the right side of your brain by getting creative. Take a class in your community or find a You Tube tutorial. There's a website called Skill Share where you can find free or very inexpensive classes. I recently took a drawing class through the Leisure Guide and am still amazed at what I accomplished! 5. Read a book. Seriously, pick up a book and read! You can rent on from your library for free or visit a bookstore. Whether you are into fiction or non-fiction, there is a book out there for you. You could also listen to the audio version on your commute or while you work. Podcasts are also a great way to listen and learn as an alternative to reading. 6. Be selfish. Does this scare you? It shouldn't. If you don't take care of yourself, who will? If you don't take care of yourself, how are you going to be able to take care of anyone else? It's okay to put yourself first and you should. You deserve it. Get a massage, visit the spa, check out a float tank, take a hot Epsom salt bath, go for a long walk. Simply take the time to take care of you. You deserve it. 7. Begin a gratitude journal. Wrap up your day by reflecting on what you accomplished, what you love and what you are proud of yourself for doing each and every day. When you realize how awesome you are and what you have accomplished, you will change your life perspective. Wouldn't life be so much better if we learned to appreciate our lives rather than picked apart the "bad" things? Like attracts like. Start attracting the good by appreciating the good stuff. 8. Purge what you no longer need. Do you have things around your home that are taking up space? Donate the clothes you no longer wear so someone else can make use of them. Many of us have acquired many things they don't need. Get rid of it. Simplify your space. You will literally feel lighter. Maybe you're holding on to stories or ideas that you no longer need. Get rid of that stuff, too. 9. Get comfortable in the kitchen. Find a recipe that you want to make. Learn to nourish yourself through your food choices. Being able to feed yourself quality food is a great skill to have. Buy yourself a cookbook (or rent one from the library) or search the millions that exist for free on the internet. I would love to see what you make! 10. Start saving. Do you want to retire someday? Millennials will need approximately 2 million dollars in savings to retire at 65. Maybe you want to take a trip or make a large purchase without feeling strapped for a cash for years. Make it easy. Think of how much money you spend every week on little things that you probably don't need to. Drink one less drink when you go out. Skip the high end coffee. Find an alternative way to commute one day a week. You can easily start by putting $20 per week into a separate account and within a few years you will have a chunk of money to be used as you planned.